Bright light. Light light. Lots of choices available, I think mine is the 380. The last few days have been devastating to the American cycling community. Cyclocross rider Amy Dombroski died after being involved in a crash with a truck while training in Belgium. There are any number of articles out there already about her and the crash, but it's not my place to rehash stuff other people have said. I didn't know Amy. I never met her, and although I may follow professional cycling a little more closely than the average American, I can't say for certain that I would have remembered her name. What matters, though, is that she mattered to a great many people, not just in cyclocross, but across the American cycling scene. The outpouring of grief and memories over the last few days from people who knew Amy has been overwhelming. I've been affected by it, and have been struggling to figure out exactly why. If I didn't know her, if she wasn't a household name, why does her death strike such a particular chord. Death waits for us all, as they say, and the chilling part about Amy's death is how similar my own could be--and how out of the blue. We both grew up in Vermont, 20 miles away from each other. She was a few years younger than me, and much more experienced on a bike. On Wednesday night I was beating myself up in a cyclocross training race; on Thursday an amazingly popular American cyclocross rider was dead. I cycle commute to work every day, year-round; and I wonder: how much until my time runs out? It's inspiring to see the cycling community come together around a loss of one of our own, and I hope we can all learn to continue on--not as different groups, divided by the width of our tires or the speed with which we feel comfortable, but as people who share a love for two wheels under our own power. Amy, we'll all miss you. Amy Dombroski, by Roxanne King on Flickr. All these guys slept on the floor so they could be here. After almost three years and thousands of event details entered into the Northern Plains Athletics database, I feel like I have an idea of what the regional racing scene looks like. During this time I've also been racing: mostly locally, but sometimes I travel for the sole purpose of racing myself or supporting my wife. I've noticed a few loose trends. Obviously these trends contradict each other. Racing is expensive across the board, but it is less so where people have been making a point to hold free races. I'm not going to comment too much on the idea of free races, except that I think more of them can be held and they will be awesome, as long as sponsors or private donations compensate the race director. Obviously Chris Skogen makes enough money somewhere to have been able to support the Almanzo the past few years, but not everyone who could be a great race director has those resources. If you don't pay, you can't complain. There are ways to reduce costs, however. We could start lobbying our local race directors to reduce prices. We could only go to races close to home. 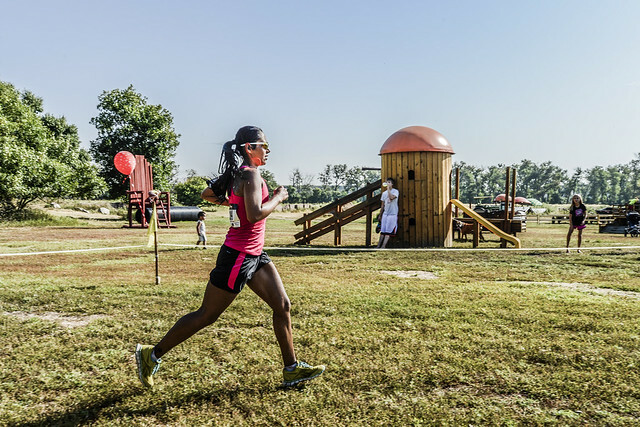 We could each host one free race a year to "grow the sport of [your sport here]." We could take the time to build our local club up to the point where travel costs are negligible because of carpooling and shared lodging. All of these options are very location-based: what works in Grand Forks might not in Rapid City, and Duluth has its own problems altogether. So what can a regional event calendar hope to do to help everyone? There's a new feature for finding cheap or free lodging here on Northern Plains Athletics: Homestays. It's a simple idea, stolen from my few seasons as a collegiate cyclist. You find a race, you find people living there who are willing to let you crash with them because you're a [cyclist | runner | skier | triathlete], and you pay them back with a six pack and a promise to pay it forward. Detailed instructions are here. It's easy to host. It's easy to not host. If you view an event page, local homestays are listed--or will be, if we can achieve a critical mass. It's free--Northern Plains Athletics isn't involved in any transactions between host and traveling athlete--although we do provide a place for your airbnb or Couchsurfing URLs. With costs going up, it makes no sense to not take advantage of the incredible network of people you race against, sometimes week in and week out. I envision a way to make these bonds stronger, to make the distance from here to there seem a little bit less, and to build up a real social network. You can use this website, or not. You can take the idea and use it to get more people to your club's event, or not. Think of it as a grand experiment. Tell me what works, tell me what doesn't, and we'll go from there. How well do you know the person next to you? In the spirit of SSUSA I bought a tallboy PBR before writing this race report. Keep that in mind because PBR tallboys and Miller Highlife seem to be the backbone of this race. Grand Forks, ND’s famous "Dave the Bike Guy" tricked me into signing up for SSUSA late one night, convincing me somehow that they were running out of registration spots. Without heed and following my own late New Years resolution of actively trying to mountain bike more I registered. 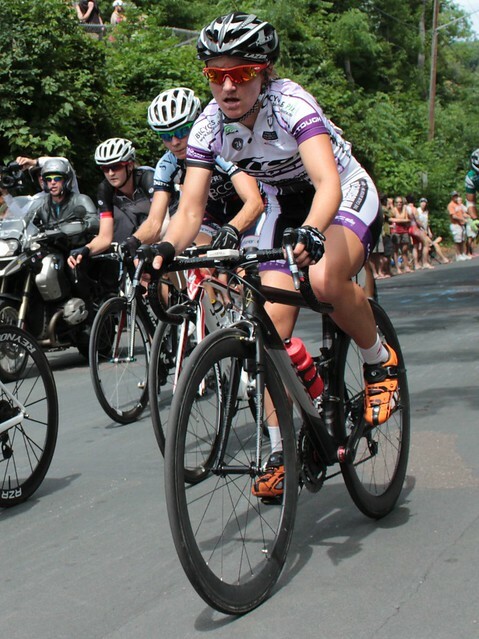 The general description of this race is a Single Speed National Championship located in Winona MN this year. The thing is, no one really cares who wins or what place you came in or if you finished at all. And you don’t have to qualify to compete. Sure, 1st place male and female win a pretty cool handmade trophy (and so does the person who is “DFL” Dead F@!#$%^ Last), but other than a white board where someone who was still sober was able to write the names and times of the first 20 people to finish it’s more of a party than a race. SSUSA changes locations every year and the next location is determined at the end of the race during the post race party via derby (bumper bikes), keg stands, and whatever events happen at the bar that evening. Onto the race/party. I had a great time. Registration was an all night event at the bar, with many racers partying till last call. Bikes were everywhere. Expensive bikes were everywhere. Some were piled above my head in a stack. Dave and I stayed up late eating free popcorn and joining in on the rowdy unchained world that is SSUSA. I’m really surprised no one was arrested all weekend. Genuinely surprised. SSUSA started with tons of people in costumes, spandex, and nothing at all. It was a Le Mans start (meaning we ran to our bikes) before hitting the trails. I was on a fully rigid Redline Monocog 29er with v-brakes. The trail was 30-40 miles and gaining a total of 4,000 ft elevation. The trails in Winona were great. Some had to be connected by moderate sections of road, but I enjoyed them as a means to give my arms a rest. There were such steep uphills, that everyone ran or walked them. There were such steep and long downhills that my arms felt like Jello and for the 1-2 minutes that I was flying 20+mph down double track I had to yell at myself to hold on. This happened repeatedly. I literally thought I would destroy myself in an accident had I not held on to the brakes as tight as humanly possible. My arm muscles were so weak with fatigue trying to hold on and I kept feeling my biceps slapping on the bone they were attached to. It was a lesson of pain management and it made me jealous of everyone with a suspension fork and hydraulic brakes. The trail had a few sag stops with more beer than water. If you thought you were going to fly through without putting one back, be prepared to be heckled, have things thrown at you and (in one case) someone with a slingshot was taking aim on racers who were “losing the race.” The beer stops were great and hydrating. My legs held up all day without cramping and after however many hours it took me to finish I was exhausted, happy, and looking for food and water. For any of the gear heads, I was riding a 32-20 and it did me great. I could ride almost everything except for the parts where I couldn’t. I wouldn’t have picked an easier or harder gear. SSUSA revived my mountain biking appetite (as I was hoping) and I am stoked to get on any trail I can find. I took a nap and thankfully Dave forced me to go the after party. It was at another bar downtown and featured music by a band called “DNF”. It was loud and fast, which matched pleasantly with the fireworks people were setting off inside. Students back in town for the semester would come up to our party floor, look shocked, disgusted, or incredulous that people twice their age or greater were getting wild. Again, I don’t know how I never saw any cops. I had a great weekend. I’d do it again, and I’d encourage anyone to join. Tons of great trails and tons of great people. Thanks Dave! It's been a while since the last blog post, and they tell me it's important to keep up the facade of actual work being accomplished. So here goes. Man, summer is busy! 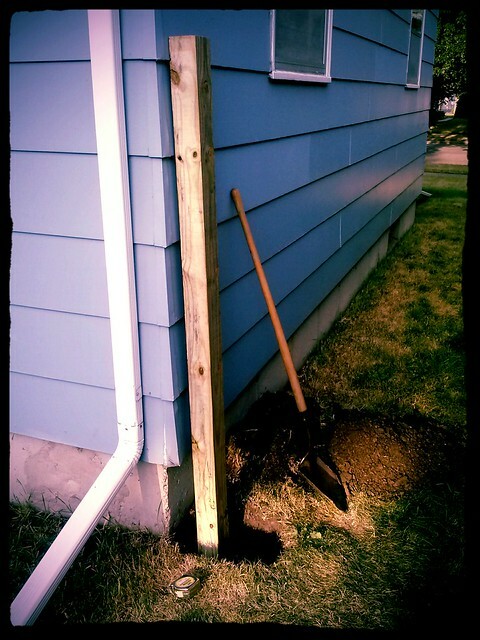 We went to a wedding, bought a house, moved, got a dog, built a fence, and it's the end of August already. It's been good, though. I'm itching to officially launch a new feature when I get the time to write it all up. It may not work the way I expect, and it requires more involvement from the Northern Plains Athletics community. Note that I didn't say work. It's not so much work as a way to build our small (but growing) regional community of athletes. On the professional race front, I've been heavily involved in the backend of ENDracing. There are more races happening this year than ever before, and my small part is to help out where I can in order to keep Andy (the race director) sane. I've plugged these races enough on Twitter, so I won't do so again here. On the personal race front, the last race I did was the Dewey Du. 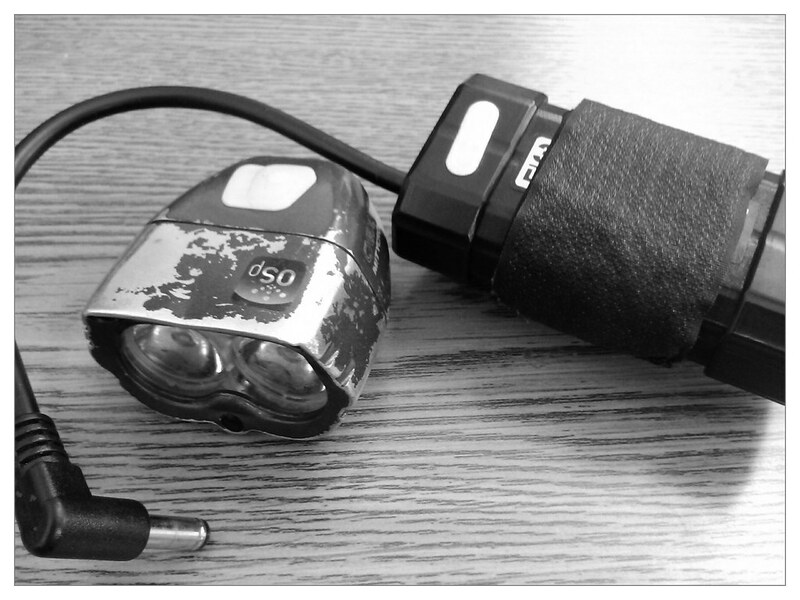 I supported a swimmer for END-WET and manned a semi-remote checkopint for END-AR. Both took more out of me than I had anticipated, so the time has come again to pull the plug and start training in earnest again. Cyclocross and mountain bike races approach, followed by the intent at distance fatbiking, if you get my drift. Ted (general NPA lackey and hosting provider--go buy some Toe'ds) managed to make it to SSUSA, and I'm expecting a race report from him any day now. Right, Ted? 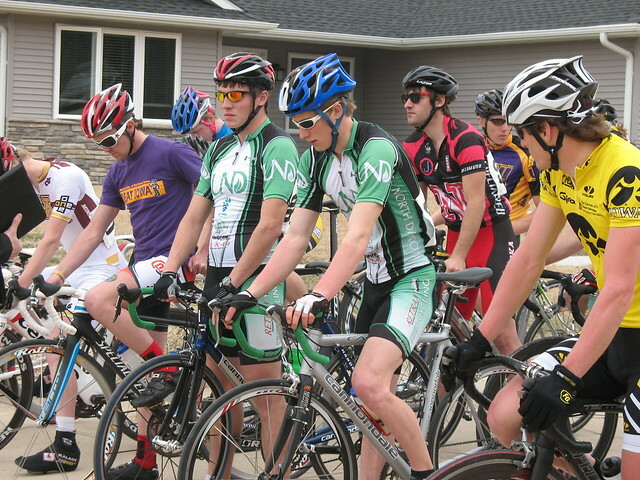 We sent people far and wide from Grand Forks to race the last few weekends. Of the cyclists, the Maah Daah Hey 100 and SSUSA called. Of the adventure racers, END-AR24 gave them mosquito bites to be proud of. Of the runners? I'm sad to say that I don't have a good connection to the local road-racing set--get in touch, guys! Sean Cooley won at least sixty-four distinct triathlons this summer. There are many race reports to write and be read. If you'd like to know why I'm not the one writing them yet, read that second paragraph again. What did you do with your summer? 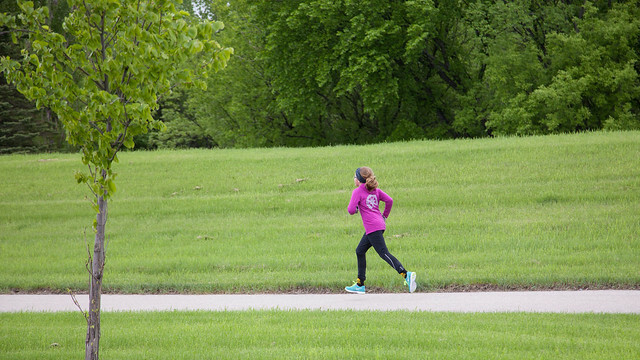 Some cities have an established hometown marathon, some have a classic 10K, others have a "everyone can do it" bike race, and Grand Forks has the Dewey Kvidt Memorial Duathlon (now including a 5K/10K). I don't think I'm overstating my case by saying that it's one race pretty much everyone can get behind--on the way home we even drove by a bar that had an advertisement up on the marquee. Although the race started the year I moved to Grand Forks, this was only my second time competing. It's definitely been on the horizon and growing every year, spitting out some names you might recognize more recently from the Minnesota triathlon scene. Last time I did the race, in 2011, I ended up fifth overall and, due to the no-double-dipping policy, third in my age group. But let's stop right there. Do you really want to read about my training and my race? I didn't think so. The Dewey Du is held in memory of Dewey Kvidt (who passed away in 2005) by his family. It's a testament to his love of sport that they even began to go through the trouble of organizing such a race, and have kept it going for so long (this was the eighth year). 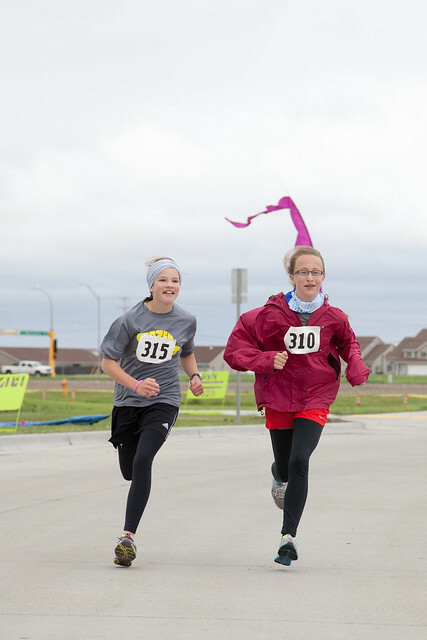 This year was the first year starting from the Choice Health & Fitness Center in south Grand Forks, so it meant less indoor space for everyone and more exposure to the elements before the race. You know what? Nobody seemed to mind--7:45 AM, intermittent rain, 20+ MPH wind, and a bunch of us shivering under some large tents in the parking lot. I've been to races with better weather and more miserable people; maybe we were all just glad it wasn't snowing. The run course was well-designed except for a few blind corners and one oblivious runner (me) who missed an obvious turn. The 5K/10K began half an hour after the duathlon, which let all of us see who we were really racing against. That wind was blowing from the north, and the bike route was an out-and-back...to the south. Which meant 30 MPH out and 12 MPH back if you were one of the stronger riders. What's that mean, anyway? "Stronger riders." The fastest riders? The riders able to snake in between the air molecules and eke out a little more speed? I think we've got it wrong. There were some physically powerful riders out there, but they may not have been the strongest. For the last few years, I've been involved in the organization Ground UP Adventures, the goal of which is to get youth into adventure-based activities. Three of the youngsters who have been there from the beginning (back when the local youth climbing club first started) are Erin and Megan (sisters) and Lucy. They're 13, 11, and 13 (or so) respectively. The reason I bring them up now is that they were there Saturday at the duathlon, not to cheer or compete as a team, but to each do the full race (5K/25K/5K). They finished the race, on a day when riding into the wind was so tough that three or four miles an hour (what they could muster at times) was barely enough to keep upright. I'm super impressed. I'm writing all of this because you should be too. I understand why we push kids into team sports (because it's easy, because their friends are doing it, because it's what we did), and I know these girls play soccer and volleyball and all those "regular" things. They've done shorter adventure races on other youth teams and been successful. But the thrill of being out there on your own, and it being you against the wind, and knowing you want to push as hard as you can with nobody else to fall back on, I think that's important, and maybe they're realizing that too. All photos by Wes Peck. What's your Big Hairy Goal? Racers feeding their inner demons at CP3 of END-SURE. With summer spring not-winter on the horizon, it's time again to put your money where your mouth is and pick a "big hairy goal." I think I first heard this term either from Andy or one of the good folks at Operacion Muerto, but I can't find any evidence of that. All it means is a goal that's going to send you over the moon if you accomplish it. Sometimes the planning and execution of these things can take years (summiting Everest, cycling around the world, etc. ), but that's for the people I like to call (affectionately) "the real crazies." If you're new to the game, pick something doable but hard. Like the hardest thing you've ever done. Or the most planning you've ever needed. Or something you've failed at before. One such BHG that requires no entry fee is the Operacion Muerto Summer Challenge 2013: a ride or run across Manitoba without using any paved roads. Another in my local area is the Winnipeg-Grand Forks-Fargo ride (2013 details TBA; not sure if this will be gravel-only as well). For touring cyclists, though, this stuff is easy. 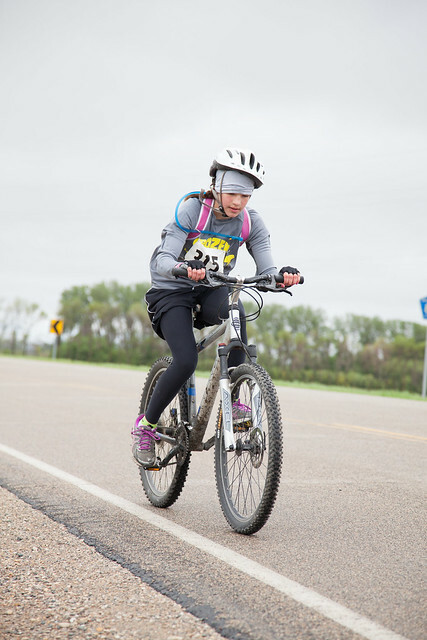 For multi-sport athletes, perhaps the Minnesota Lowest to Highest Duathlon Challenge is your cup of tea: race from Lake Superior in Grand Marais to the top of Eagle Mountain (the highest point in MN) and back. Personally, I'll be tackling the Lutsen 99er as proof that I can ride farther off-road than ever before, on this on a Surly Pugsley, as well as finishing a complete 24-hour adventure race at END-AR. Are these big goals compared to other people? Not necessarily. Do they matter to me? Undoubtedly. You're primed and ready now: what's your Big Hairy Goal? 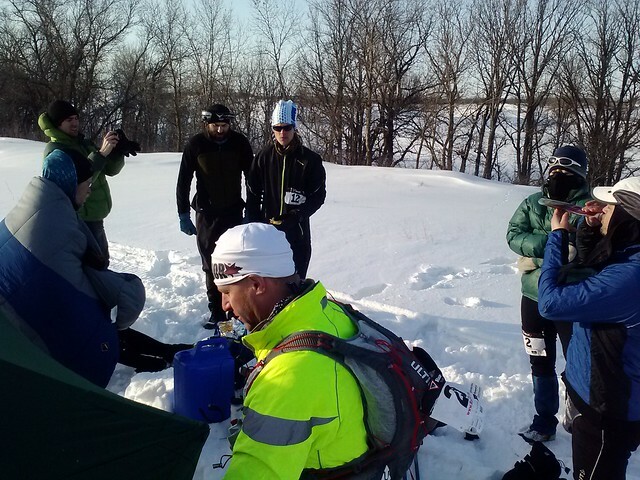 Northern Plains Athletics and Toe'ds have teamed up to provide a third checkpoint for END-SURE: the Extreme North Dakota Sandhills Ultra Run Experience...and what an experience it's going to be! 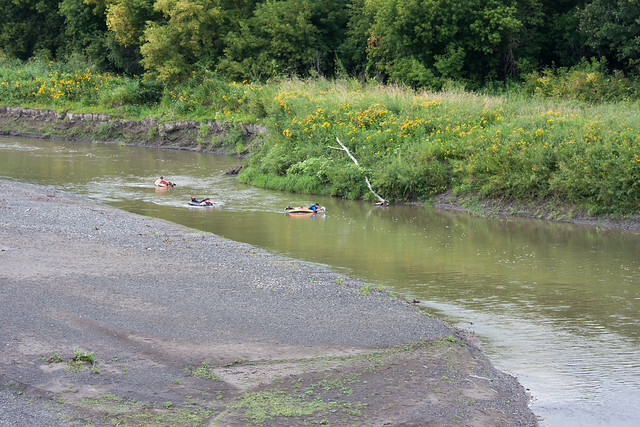 Together with Toe'ds executive chef Ted Bibby, I'll be hauling gear in (on foot or via snowmobile) to the most 'wildernessy' part of the 31-mile END-SURE course to set up a checkpoint and aid station between six and seven miles from the finish line. Unexpected amounts of snowfall have made the finish time estimates grow longer and longer the closer we get to the race. The impending storm tonight into tomorrow will add insult to injury, and perhaps finally convince some of the racers that they'd like to be wearing snowshoes (for those not in the loop, gear has been quite the debate). If you'd like to follow along with the race, we'll be tweeting from @nplainsathletes, sharing the hashtag #endsure with the two other checkpoints and the finish line. Check out the roster to see if you know anyone in the race, and feel free to tweet us some messages to pass along. An extended 6.5 hour cutoff to reach CP2 at mile 18 means a potentially longer finishing time, so who knows how long we'll be out there. Another weekend of racing here at Northern Plains Athletics HQ! Here's the final current map of the Extreme North Dakota Iceman Triathlon course. It's going to be a blast. I've been working on this for a while and finally found the time to figure it out this weekend. 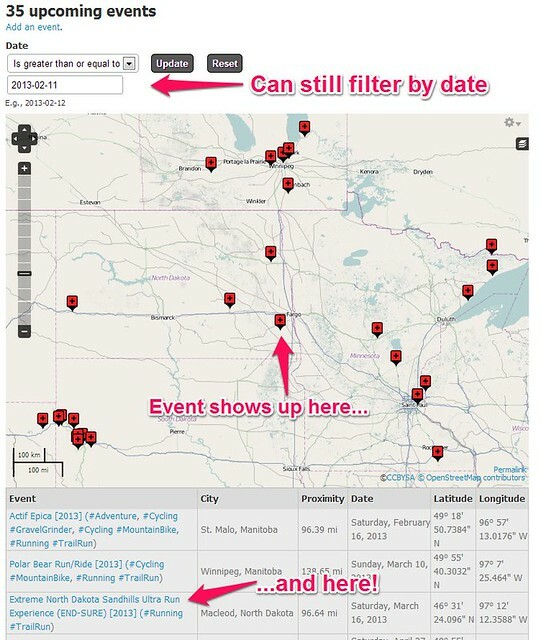 Any of the #hashtagged event types listed in association with an event can be clicked on to bring you to a page listing upcoming events of that type. This is nothing new, but NOW you get an interactive map of those events! Check out the example below, which can be accessed here. If you want to quickly search by event type with a map, mouseover the 'Event List' menu item up at the top and select from the dropdown menu. One quick note on maps: Basemaps shown on Northern Plains Athletics use OpenStreetMap, the world map that can be edited by anyone. If you prefer base maps from Google or somewhere else, you can select a different base map by clicking the icon in the upper right of each map.